This article appears in the March 2016 edition of MoneyMarketing. MoneyMarketing asked Billy Seyffert, Chief Operating Officer at Moonstone Compliance, about the current investment management and intermediary space in the light of the regulations accompanying the Financial Sector Regulation (FSR) Bill that is enabling a move to a twin regulatory model. How well is the industry adapting to these changes and challenges? It’s not possible to say with any degree of accuracy how industry is adapting as much of the regulatory changes are pending. If the question is whether industry is working hard towards getting ready, then our experience is that definitely in the corporate, asset management and insurer space this is the case. What we find very encouraging is the level of knowledge and awareness of the pending changes. In the intermediary space this is less so, although RDR is top of mind. What is the higher compliance burden costing the industry? This is not a quantifiable matter and neither should it be. The cost of compliance is a cost of doing business. The question should rather be whether people are getting value for their compliance spend. (I can’t answer for that outside of our offering.) Compliance which is not proactive in its approach is of little value and even less so in a conduct regulatory environment. The question whether compliance is expensive is surely relative. If you compare your compliance cost against the risks of reputational damage or regulatory sanction, then compliance is certainly not expensive. A good compliance regime must contain a consultation into the business function and unfortunately industry tends not to consider this value when determining that dreaded term: “the cost of compliance”. It is rather unfortunately most often left as a dead item on the expense line for which a cost was incurred in return for which no value was received. If this is your view you’re either receiving no value, in which case you should consider your options, or you are ignoring the value, in which case you should reconsider your mind-set. Is compliance likely to become even more onerous in the future? Compliance will certainly become different in its look and feel and also the role of compliance practitioners and compliance departments. 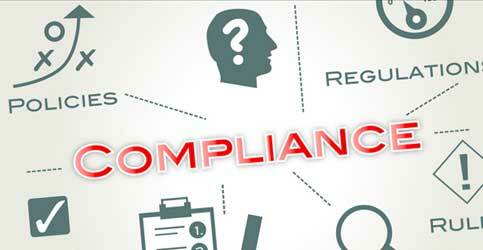 Compliance will be a lot more cross cutting across various aspects of regulation. We don’t foresee a future where a compliance officer can limit him/herself and deliver a service specific to one piece of legislation as all the legislation will in combination lead to one aspect and that is the overall business conduct of the financial institution. Can consumers easily be made to pay for and appreciate the value of advice? This remains a big challenge, more so in the short term insurance space. The appreciation of good advice is easy to evidence with good results, but moving to a world where clients pay for this is a huge challenge. Obviously they do already pay but in their minds it is included in the product. The challenge is really more in the method of recovery of fee than the entitlement to the fee. Customers simply are not there yet where they will pay up front. In the investment space the situation has improved but it would be ignorant not to take cognisance of the profile of client who has money to invest outside of the traditional savings plan type of product and it is here where the fee for advice discussions are taking place. In the wider retail space commission is the norm. How comfortable are those financial advisers who have wholeheartedly adopted a fee-only model and how is that model working? We do have a number of clients who have adopted a fee only model. These have without fail indicated that it has been a huge success. Clients are happy and intermediaries are actually better off, financially.